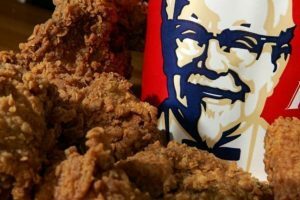 The restaurant opened its doors to the public to teach them about making the iconic fried chicken, just like the Colonel. In fact, up to 300 KFCs across the county opened their kitchens to customers on March 30. The restaurant first launched Open Kitchen in 2017, inviting fans behind the counter at 100 of its stores across the country.